If your in to your Canto pop or Chinese music you would have heard of Jay Chou for sure ,he is a Taiwanese Singer, producer ,writer ,Actor and Director who has won the World Music Awards none other then four times. I'm not going to get into his music career here ,this is all about his latest film Treasure Hunter where he plays a kind of Indiana Jones character who is out to protect a secret map that discloses the whereabouts of a long lost city in the desert. Starring along side Jay is Lin Chi-Ling a Taiwanese Model and a firm favorite of mine the brilliant Eric Tsang who always gives a good performance whether in a light hear-ted comedy or playing a sinister gangster.But did you know he was a Professional football player in his younger years as was his father. 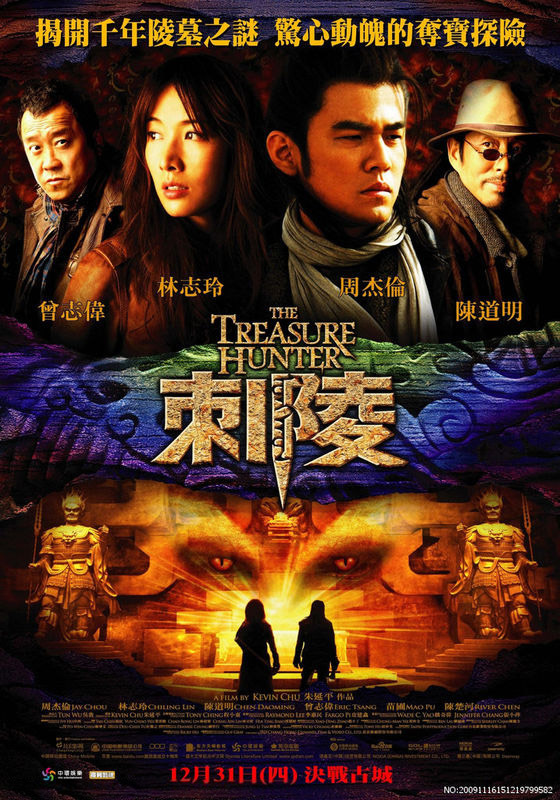 Any way Treasure Hunter was a film that went up against Storm Warriors at the Box Office and Won so to speak. Jay plays Qiao Fei the adventurer of this tale ,rumor has it is that buried beneath the Sands of the desert is a colossus treasure of riches,Now a group of Guardians have been keeping the Map out of harms way for centuries but a ruthless group of criminals track the the map to the keeper ,but not before he bestows it to Qiao Fei. 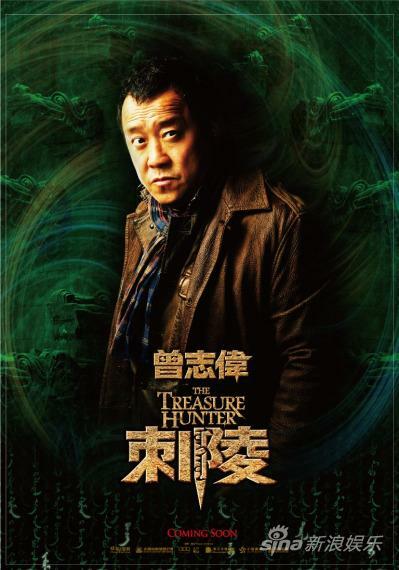 Now this does not stop the keeper getting killed ,now prior to the keeper passing on the map the keepers daughter was due to have dinner with her father ,but in a twist of fate she is kidnapped by a band of Treasure Hunters led by a man called Master Hua ( Chen Doaming) and his side kick Chop ( Eric Tsang) Who also want the map. 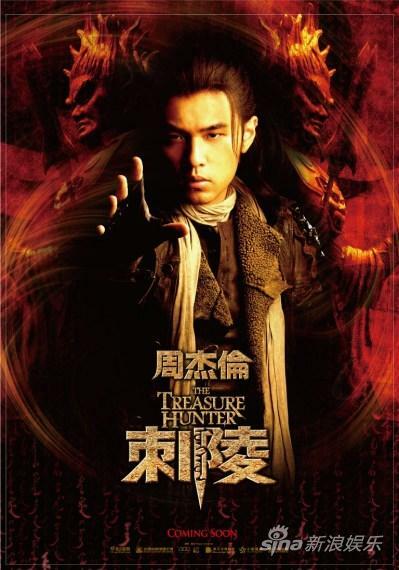 Now Qiao Fei is going to trade with the kidnappers for his Mentors daughter,Now a meeting in the desert in a remote inn see's Qiao Fei confront the Kidnappers but at this moment they are attacked by the Nomads of the desert ''a mythical force that not many survive without loss of life . This gives us one of the films set action scenes that are dealt with passion missing from many action films of late.With wide camera angles and full on action from all involved,throw in the top special effects that add to this film without taking away fro the real life action . It is after this that a long chase across the desert begins as the map is lost in battle and everyone is wanting it. In a reluctant compromise the kidnappers and Qiao Fei and Kidnappie join to track the map or so the Kidnappers Think that is. 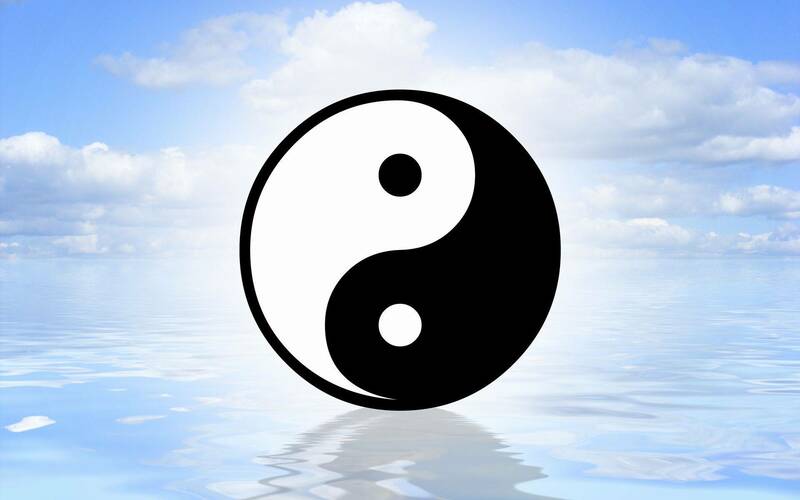 The thing is Qioa Fei used to be the Savor of the Desert ''The Desert Eagle 'But in a battle with a rival lost the right to be so and left the desert long ago. Now it's a race against time as the criminal organization that wants the map is closing in and all parties try and find the treasure.With quite a few twists to keep you thinking this is a top film from director Chu Yin-Ping and with Ching Siu-Tung as action director ,not could go far wrong. So in a surprise to many and meas well ,this is a much more enjoyable film then the aforementioned Storm Warriors in many departments.